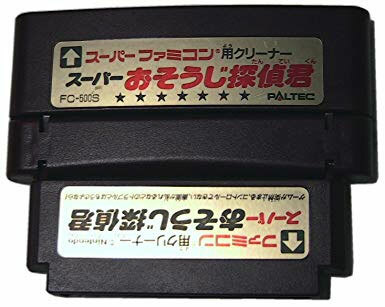 A useful peripheral allowing gamers to clean their Super Famicom or Famicom cart slot with the use of this cart like insert, plus the spray and cleaning tool in the back of the cart. 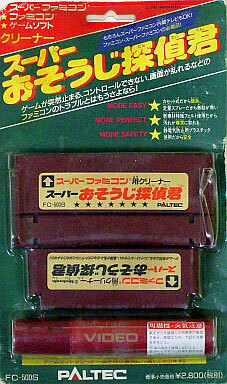 Known in Japan as Super Souji Tantei Kun. Brand new. Due to the spray and postal regulations, only available for dispatch to UK addresses.